This article describes a one-year study of 120 fifth grade students whose teachers participated in a program entitled Project SMILE (Science and Mathematics Integrated with Literary Experiences). The purpose of the study was to determine the extent to which the classroom implementation of Project SMILE positively influenced the classroom environment and student attitudes toward reading, writing and mathematics. This was accomplished by, first, facilitating a series of professional development workshops with the teachers and, subsequently, asking these teachers to use the strategies with their students in their elementary school classrooms. The research represents one of the relatively few studies that have employed learning environment dimensions as criteria of effectiveness in the evaluation of educational innovations. Methodologically, our study supported previous research that successfully combined qualitative and quantitative methods of data collection. The learning environment and attitude scales exhibited satisfactory internal consistency reliability and discriminant validity and, additionally, the actual form of most learning environment scales was capable of differentiating between the perceptions of students in different classrooms. 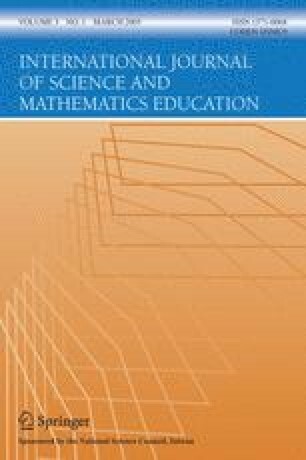 The implementation of SMILE was found to have a positive impact on the students of the teachers who participated in the inservice program in that students’ attitudes to mathematics and reading improved and there was congruence between students’ actual and preferred classroom environment on the scales of satisfaction and difficulty. As well, prior research was replicated in that students’ satisfaction was greater in classrooms with a more positive learning environment, especially in terms of student cohesiveness. Finally, qualitative data-gathering methods were used to construct a case study of the mathematics classes of a teacher who attended the SMILE professional development. This case study supported and illuminated the results from the questionnaire survey concerning the effectiveness of Project SMILE in terms of student attitudes and classroom environment.